The Head Graphene Prestige Rev Pro tennis racquet is a new frame to the historic Prestige line. As a former Head Flexpoint Prestige (midplus) user, I was really looking forward to hitting with this mid sized tennis racquet. These new Graphene tennis frames come mixed with Graphene; but what is Graphene? Graphene is an super light and super strong substance that is 200 times stronger than steel. Head places Graphene in the shaft so that weight can be redistributed to more functionally relevant areas of the handle and tip. This unique construction provides players with increased swingweight for more power with less effort. Keep this stuff in mind for my Prestige Rev Pro review. I opted to string up my Rev Pro with a shaped poly, so I could get some additional spin; the string I used was Victory Acelon Seven (you can read my review here) at my favored tension of 44 lbs (20kg) on my Stringway machine. 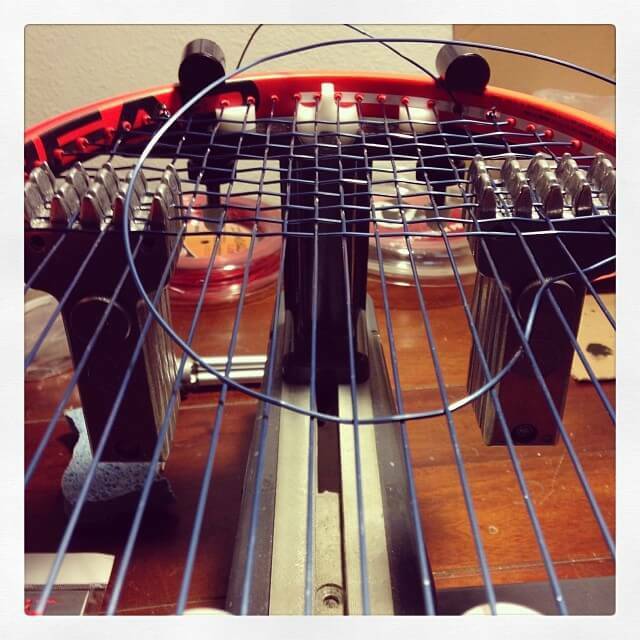 Stringing was fairly straightforward, nothing out of the ordinary. When I got to the courts, I was in a hurry to start hitting just so I could see what this bad boy could do my opponent. As I mentioned above, I’m a former user of Head Prestige tennis rackets, so was looking forward to the consistency and power that the line has displayed over the two and a half decades! My first and immediate reaction was that the Rev Pro was too light. Like, it was just too light; from static weight and swingweight; it felt like there was no mass in the racquet. I didn’t know what to make of it, especially coming from a racquet weighing nearly 13 ounces (strung, overgrip, and dampener) to a racquet that is just over 11 ounces (strung); it felt really light in my hands. I played on. When I got used to the light weight Head Graphene Prestige Rev Pro the characteristics really came to shed a little bit of light on what was to come. Because of the light weight, my forehand lacked depth and weight, sure if I took a full cut at the ball (which I did often), I could send the ball very quickly to the other side of the tennis court, but it didn’t have that “something else” to it to make it difficult to hit back. My backhand suffered similarly to my forehand, while I was very easily able to make good contact, the lack of mass in the frame made it so the ball had the velocity but lacked court penetration. This isn’t all that bad though, I was having a good time. The Head Graphene Prestige Rev Pro is not the spinniest tennis racquet in 2014, especially with the extreme string patterns some manufacturers are releasing, though the open string pattern on the small headed Rev Pro did produce enough spin to get the job done. My top spin forehands were decent in the regard of the ball coming down quickly at, or near, the baseline; it just didn’t have that kick that some other frames offer. I believe I would get more spin production with a thinner gauged tennis string. One of my most favorite aspect of using this tennis racquet was that I was able to hit some incredible backhand slices; it was practically effortless! I was able to carve some deep skidding slices into the corners without hesitation. It was a very effect shot with this racquet. I felt that the weight and balance allowed me to maneuver the racquet head quickly and easily, so getting the frame to the each shot was a breeze. My serves were also a highlight in my playtest of the Head Graphene Prestige Rev Pro; I felt that I was hitting just about every serve extremely well! Because the racquet was a bit lighter than what I’m used to, I was able to get the racquet up to contact quickly and smoothly with little hesitation. I was able to get to the ball at the top of my toss which lead to a bigger serve coming down quickly into the service box and bouncing up and aggressively. My kick serves lacked kick and my slice serves lacked slice, but I was able to get those serves in with good pace to make up for the lack of spin; the Head Graphene Prestige Rev Pro really shines with flat serves. Because of the smaller head size, the Head Graphene Prestige Rev Pro, acted more like a control oriented tennis racuqet instead of just a spin producer; so moving the ball around the tennis court was fairly easy. I didn’t really struggle with any shot, down the line, cross court, and change of direction was a breeze; I thoroughly enjoyed playing with this. Does the Graphene really make a difference in the Prestige line? My impression was that the construction of the Graphene made the frame much more solid feeling through impact. Thankfully, the firmness did not give a jarring sensation to the arm, it is pretty comfortable actually. The flex in the frame added comfort but the Graphene (or construction) compensated the loss of power by giving a firm feel that resulted in power, all without sacrificing much of that “Classic Prestige” feel that many players have come to love. Ok, so this whole Graphene being woven into the layers of the tennis racquet is somewhat of a mystery to people outside of Head’s offices; there’s no real verification of how much Graphene is injected into Head’s tennis racquets. Though, I can make an educated guess as to how much is actually in each racket. The market rates for 1 gram of Graphene is about $275 and each tennis racquet weighs about 317 grams; so if each tennis racquet were made of 50% of Graphene, that makes each tennis racquet $43,587 (317/2=158.5, 158.5 x $275 = $43,587)! Fortunately, each racquet retails for, roughly, $200; therefore I would make my best guess is that Head puts less than 1% of Graphene in their racquets. All in all, I really enjoyed the new Head Graphene Prestige Rev Pro! Even though the stock weight was a little low for me, it is a great option for the tennis player who is looking to get a little more precision out of their equipment and to venture into the non-oversized or midplus market of tennis racquets. 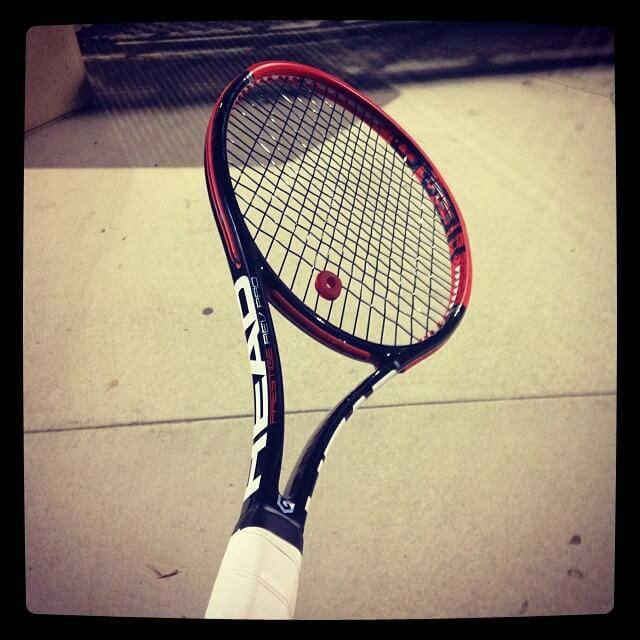 If you have ever played with a Prestige tennis racquet, you’ll know what to expect, just a bit modernized. The Head Graphene Prestige Rev Pro tennis racquet is also a good frames to do some customization to, the base model is a good starting point. You can add weight to make it a little heavier to give more umph on your shots…that’s what I would do at least.